It’s no secret that those who have chosen to fill their home theater with Seatcraft products are now sitting in the lap of luxury! After the careful and meticulous selection through the many options that Seatcraft provides, happy customers now have the seats of their dreams, crafted specifically with their wants and needs in mind. If you are someone in the market for high quality theater seats of your own, we bet you’re wondering what the huge fuss is about. What makes Seatcraft so great in comparison to other companies? Why should I make an investment on these particular seats? We have all the answers and more for you as we discuss the top five of the many reasons we love Seatcraft chairs. You know how when you browse through a company’s web page and notice that all the products look exactly the same? You don’t have to subject yourself to the bore that is scrolling through pages of the same items, because Seatcraft’s home theater seats and multimedia sofas have their own beautiful, unique, and personalized designs. From contemporary to classic looks, these seats will wow any guest with the mix of style and comfort, blending solid framework with plush cushioning that will make anyone melt once they sit down. Each seat is designed with special features, too, like fold-up-and-down armrests, storage compartments, cup holders, recliners, and even USB ports! All you need to do is browse through their versatile selections and decide which style best suits you. Do you like romantic nights in with your loved one? Check out a Cuddle Couch and get cozy! Like to fill up the room with large groups of lively friends? Then, a Theater Sectional is more your style! No matter your lifestyle, Seatcraft can provide the perfect match, from the most relaxed couch potato, to the high-end socialite. In an age where technology is incorporated into every part of society, we expect our theater seats to get in on the action too, right? Seatcraft understands that desire, and incorporates cutting-edge technology in every seat and sofa, so you can have more convenience and fun in your home theater experience. The most notable of these technological accents would be the SoundShaker technology, which simply attaches to the side of your seat to vibrate along with the on-screen action! Who wouldn’t want more immersion when they’re watching a movie? The technology doesn’t stop there! With powered headrests and recliners, at the press of a button, you can adjust your seat to make it more comfortable. If you’re the type of person who fumbles around in the dark or spills drinks when you absentmindedly reach for the cup holder, then you’ll love the lights that are incorporated inside every cup holder and base of each seat. Even the USB ports are lighted for easy access! Seatcraft has only the best and most advanced technology for the convenience of its customers. Find yourself bored with the same old sectionals and chairs? Do you hate having to get up and pause your show when you need to restock the group with snacks? Then, never fear, because Seatcraft combines their design specialities and advanced technology to bring you amazing accessories! Many accessories are simple installations, with an accessory pod as the base, and a click of an attachment. With them, you can be hands-free with an Adjustable Tablet Holder, worry-free with a Wine Caddy, and perfectly lighted with the LED Reading Light. The most impressive of accessories would be the Refreshment Consoles you can have built into your seats, which will not only hold all your snacks, but can keep backup drinks nice and cold. High quality seats meets high quality accessories to make your viewing experience even better. Home theater seats are an investment that we expect to enjoy for a long time. Many other companies sell seats that, while they could look nice at first, can wear down very quickly after just a few uses, rip very easily, and just become uncomfortable when developed from low quality materials. Seatcraft, on the other hand, guarantees that each seat is made from only the highest quality materials, like top grain leather, including the most popular Leather 7000. If durability, easy cleaning, rich textures, and swanky appearances appeal to you, then you’ll love the materials. Even the fabric options bring something to the table with their softness and impressive colors and patterns. 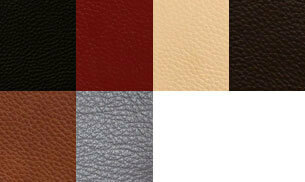 For those of you who want only the best of these options, then the Leather 7000 is for you! Leather 7000 combines the texture, consistency, patina, and color pallet of top-grain leather and steps it up by choosing the top third of all hides and buffs it to enhance the softness and pliancy. You will never have to worry about quick wear and tear if you choose a seat from Seatcraft! If you are amazed by everything Seatcraft offers, but want a chair that can truly be one-of-a-kind, then you’re in luck! Seatcraft offers Seatcraft Your Choice Home Theater Seating, where you can really do it your way! The simple, three step process starts with you choosing the material and color you love the most, straight or curved row preference, and finally a choice between power or manual recline. You will have all the amazing technology that is included in pre-made seats, but now with the power to create a seat that perfectly suits your home theater decor. If you want extra accessories, you have the power to include that with your personalized seats, too. The power is truly in your hands! Don’t settle for anything less than high quality perfection, and go to Seatcraft.com or 4seating.com and start your journey to find the ultimate home theater seats for your home! It is an investment that everyone you know won’t be able to stop talking about! This entry was posted in Home Theater on December 27, 2017 by seatcraft.